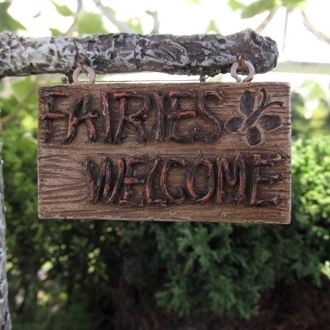 Fairies Welcome Sign For Your Fairy Garden Store Miniature Garden. Let All The Fairies Know They Are Welcome! Don't Forget To Get Something To Hang From Such As An Arbor Or Accessory post!